Dressing up your fall table doesn’t have to mean spending a lot of money. You can add a warm and cozy feeling to your table setting for your guests using things you have around the house already. 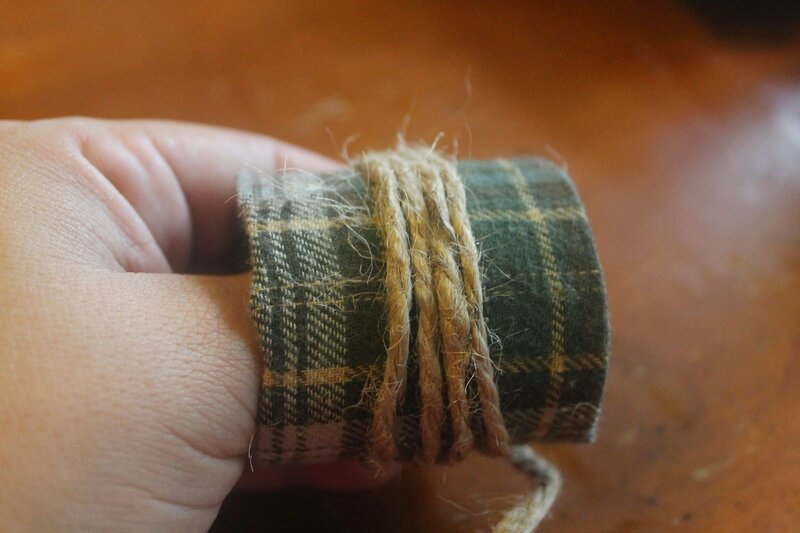 An empty toilet paper roll ( you get 2 rings out of each one), an old flannel shirt, and some sisal rope. This Upcycled Fall Flannel Napkin Ring is low cost, simple and perfect for a classic Fall table setting. I love how country and casual they look while still dressing up my plain old napkins. I made these for our Thanksgiving meal but they can be left out the entire fall season to give your table a finished look. 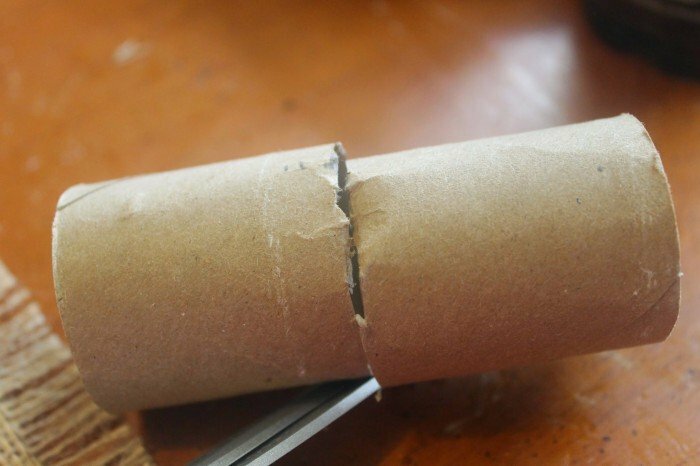 Cut toilet paper roll in half, set aside. Cut rectangles from your flannel to 4″ x 5 1/2″. 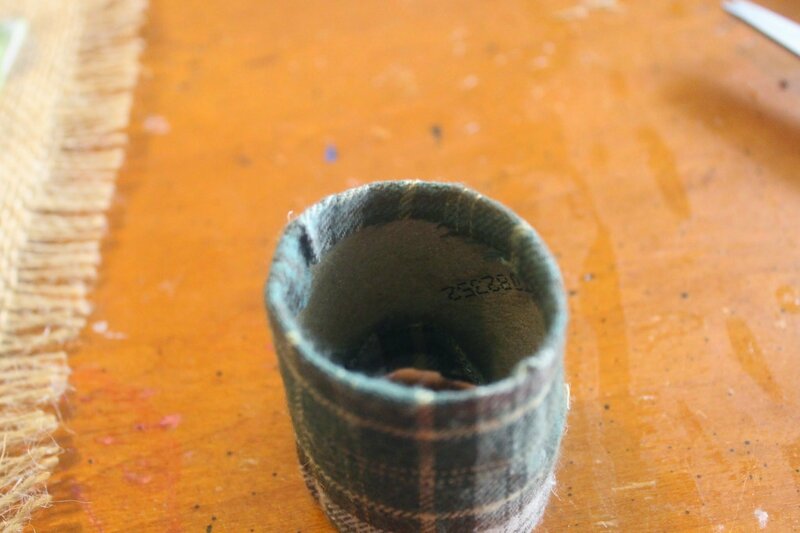 Center half paper roll on flannel, wrap around and tuck in securing with glue. 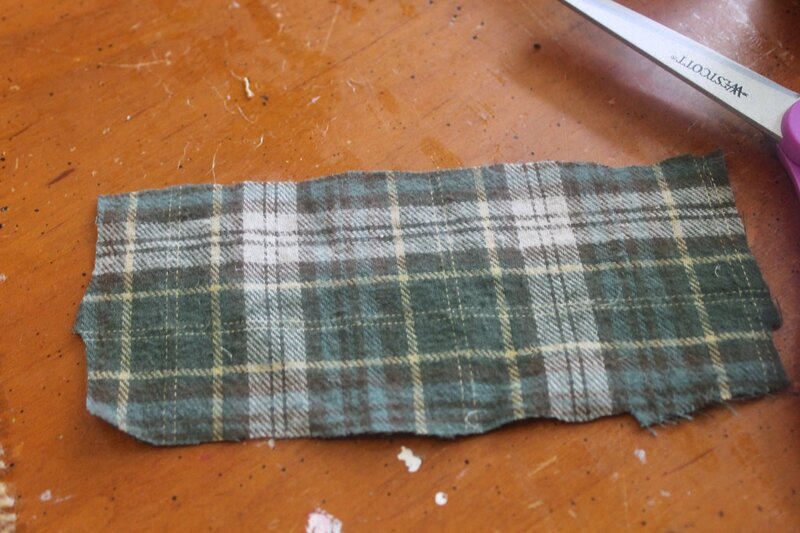 You can use hot glue to adhere the flannel and roll but it will leave some ridges. If you have a can of adhesive spray on hand spray the roll and the inside of the flannel well and wrap. Then tuck ends inside the roll. Wrap center of napkin ring in sisal or other natural rope and secure ends down with a little hot glue. Once all the glue has dried (you only need a few minutes) slip over cloth or even disposable napkins. These are so simple to put together! 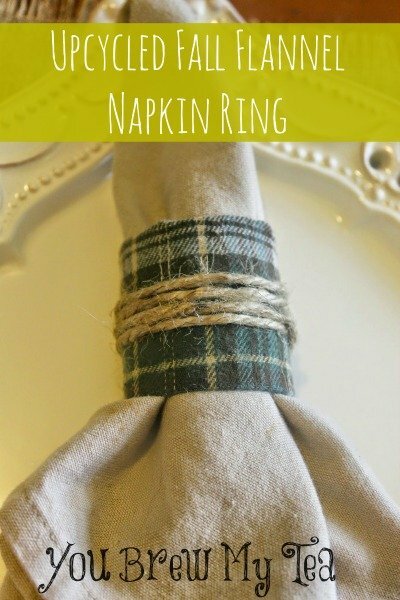 Grab your kids and make these Upcycled Fall Flannel Napkin Rings for your Thanksgiving table. You can even make small cards with each guest name on them to attach to the ribbon making them truly personalized for your guests! I love how simple this is, and how it uses up scrap bits of crafting fabric and rope or twine. Don’t miss out on our other great DIY Fall Crafts! Bam. There’s your post on The Wednesday Roundup. And I even have some old flannel shirts! And the hot glue gun is already out from when I made a wreath this morning!